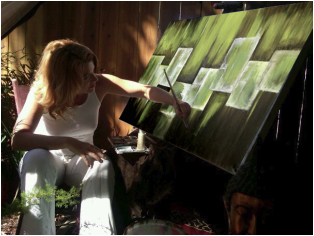 Kelly is an award winning artist, educator and graphic designer. As a student she won The Ohio Governor's Youth Art Exhibition and received a scholarship to the University of Akron. She studied fine and applied arts with an emphasis in drawing.